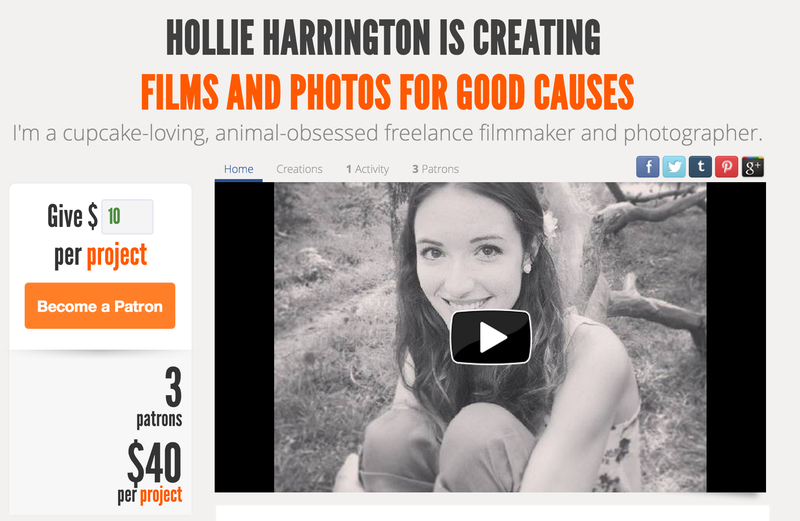 Please feel free to go and have a look and, if you can, I’d love for you to become a Patron! I would greatly appreciate the support because, like I explain in more detail on the site, my aim is that if I can get enough of a production budget per video or photography project from kind patrons, I will eventually be able to offer my services free of charge to amazing non-profits that can’t afford to pay (or at a discount for those that can only pay a little.) I would truly love to be able to do this to help smaller organisations in much need of a marketing boost – I know it would really make a huge difference to them. This is my dream. Please help me reach it! If you can, please become a patron (read my blurb in the above link or the site to see how it works) but if you can’t – I completely understand, just please keep sharing my Patreon site and spreading the word! Thanks so much for all your continued support.